Information: Stojče Karanfilov (Stojče Karanfilov-Dojcin), choreographer of "original folklore." 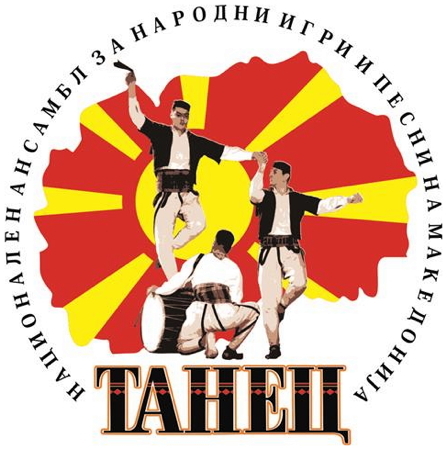 In Constant Quest for Original Steps in Macedonian Folk Dance (Dnevnik, 7.09.2002)  It is a challenge to make a choreography with dances from an unexplored region in Macedonia, says Karanfilov. Komitsko Dance, Pirin Spring Flower, Rugovo, Prespa Dances are a part of Stojče Karanfilov's prolific choreographic opus included in the repertoires of Macedonian folk ensembles and folk groups worldwide. In his early days, Karanfilov was a professional dancer, assistant and manager of Tanec Folk Song and Dance Ensemble and one of the founders of Goce Delčev Folk Ensemble. 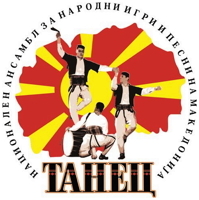 He has also done the choreography for all folk ensembles and groups of the Macedonian emigration. He is a lecturer of the practical part  dancing Macedonian dances  in seminars of the Macedonian folklore in Macedonia and the world. Styling the original folklore has been his preoccupation since 1970 when he first did choreography of dances from the Aegean part of Macedonia  Kostur and Voden  for Goce Delčev Folk Ensemble. A choreographer should be able to steal the old, to process it and adjust for the stage. When doing choreography, one is only allowed 10 percent deviation from the original  a dance can be styled, improved and arranged by adding new components  arm, leg or chest moving, and then choreography is successful. We do not have a folklore school and choreographies are self-initiated engagement by enthusiasts. But choreographies are reviewed by an expert commission, the approval of which allows them to be included intoa repertoire, explains Karanfilov. There are few who know the choreographic script and everybody manages by themselves about the inscription. Drawings or signs  man with a circle, woman with a cross  are used, he says. He feels it a challenge to always set new choreographies from regions that are not sufficiently explored. So far, ha has made 11 author's choreographies that hadn't been included in any repertoire. He has never re-made somebody other's choreography because then the value, originality and quality of the setting are lost. One should always discover new contents and make new choreographies. Sometimes, I make choreography when I hear a dance, I work on order or whenI get inspired in an original dance at a festival. I got inspiration for the dances from the Aegean part of Macedonia from two songs by Bapcorki. I asked old women to dance those elements for me. I made four choreographies for Tanec, and for the latest one, Kopacija  dances from the Kičevo area  Tanec has published a book with a musical notation, the elements of the dance, the history of Kopačija, costumes, says Karanfilov. The most authentic choreography is made when one explores a ground and when cooperates with elder people. Karanfilov points out that the Skopje area is an inexhaustible choreographic source and the material for the Gevgelija, Bitola and Kičevo regions are very scarce. The original materials depend on the climate, people, and their living style, and the movements, as Karanfilov points out, differ in the terrain  in lowlands the movements and rhythm are faster, and in the mountainous areas, they are slower. He believes that the folklore in Macedonin is in a standstill, since there is no interest in recruiting young members and great tours are rarely organised. He says that it is pity that a world folk festival is not organized in Macedonia, the richest country in folklore in the Balkans. Karanfilov has worked on choreography for dances in the Prilep region, which will first be included in the Tanec program. I'm compiling the material, music, movements, So far, there is no choreography of dances in this region. Even Mirče Acev Folk ensemble working in Prilep has no dance from that region. Folklore will only be preserved with the original choreographic setting, says Karanfilov.